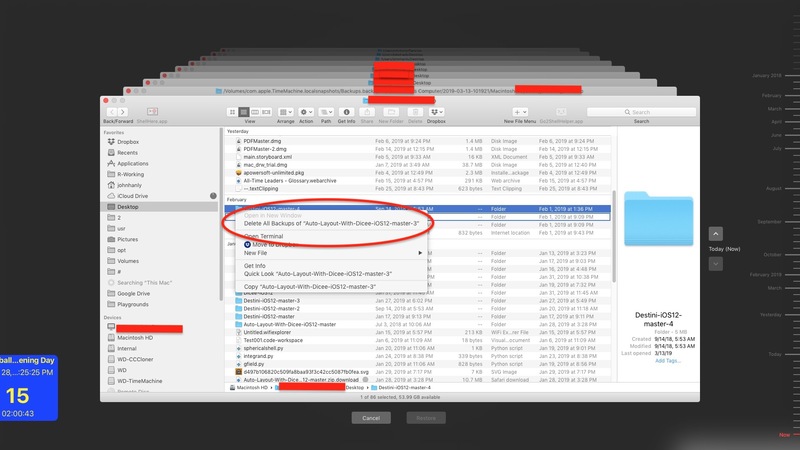 How can I delete all Time Machine backups of a given folder? The delete all backups of dialog isn’t present when I right-click the folder in question. I am trying to delete all Time Machine backups of this folder including the ones found in the local snapshots. You must enter Time Machine by going to the menu icon and clicking on it. One of the options is to "Enter Time machine". This will bring up all your backups on the screen. When I right click on a folder I get the options shown below. If you chose "Delete All Folders " it should do what you want. Not the answer you're looking for? Browse other questions tagged macos time-machine high-sierra . How does the new “local snapshots” feature of Time Machine in Lion work? Can MacDrive break my Time Machine backups? Where does a Fusion Drive store Time Machine local backups? 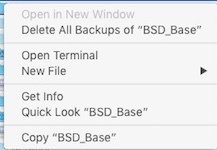 Should I disable local backups? How do I delete Time Machine backups of my Trash? Deleting all user data from Time Machine after backing to disk?